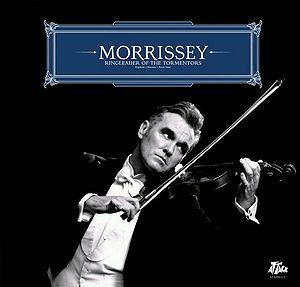 Ringleader Of The Tormentors is Morrissey's eighth solo album. The album was released on 03 April 2006 by Attack Records. Produced by Tony Visconti and co-written by Alain Whyte, Boz Boorer, and newcomers Jesse Tobias and Michael Farrell, the album yielded four Top 20 singles - You Have Killed Me, The Youngest Was The Most Loved, In The Future When All's Well and I Just Want To See The Boy Happy. This page was last modified on 30 May 2014, at 08:41.